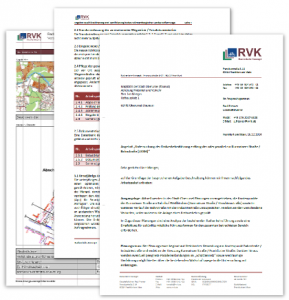 We carry out the preliminary planning according to § 47 HOAI-Planungsphase 2 for you. 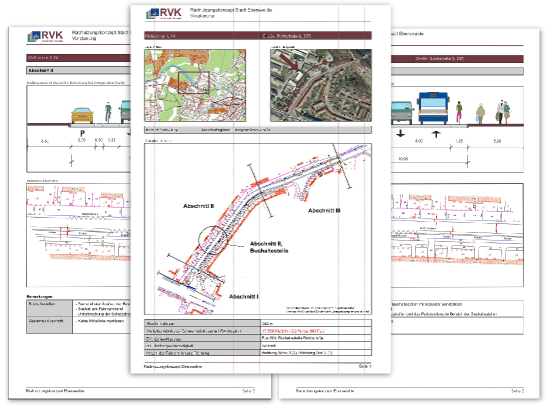 This includes an estimate of costs based on current market prices as well as scaled illustrations of several road cross-sections and detail plans. Additionally, various alternatives are illustrated, compared and presented with their specific advantages and disadvantages. In cooperation with our partner office MFL-Architektur we can illustrate also elaborate solutions and thereby provide a comprehensible basis for political decision-making. 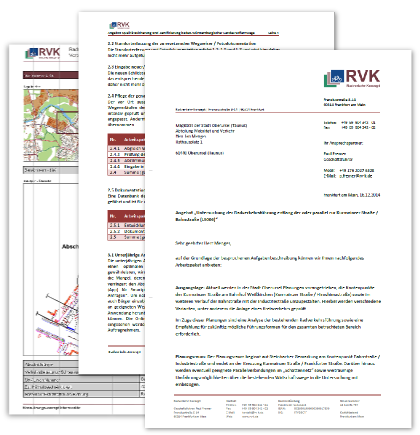 RV-K provides assistance with the procession of your grant application. Due to our experiences and expert knowledge, we can increase the chance of approval of your grant application. This offer addresses in particular small municipalities that usually are less experienced in processing grant applications due to their rare occurrences. 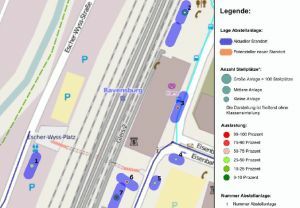 Radverkehr-Konzept offers sign-posting systems in regard of the every day traffic as well as touristic routes and networks. Additionally, we offer quality assurance and optimization of existing networks and the revision of the routing. Public participation is one of the key issues for the future. 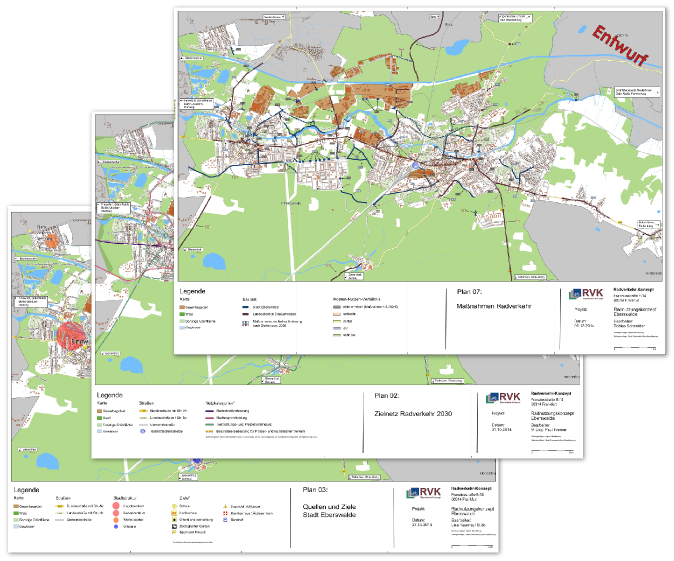 Radverkehr-Konzept supports you to design public participation so that all parties involved will benefit. 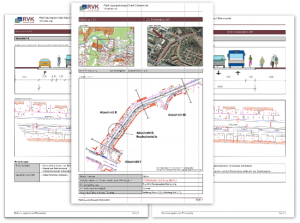 Besides the moderation of participation processes RV-K offers also web-based participation. Citizens provide insights into their interests and thereby offer standardized and significant indications for need for action. 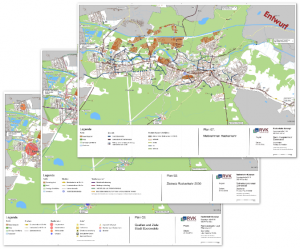 Planners benefit from the citizens’ local knowledge and gain an overview about the area of planning. The administration demonstrates that proposals and ideas of the citizens are considered important and helpfull.Additionally, the administration gains information through the use of a regulated reporting system of danger spots or other shortcomings, which cannot be achieved by the use of the few own employees only. Thereby, a general principle of the web based involvement of citizen is a user-friendly and simple handling. The time needed for the input depends on the kind of application, but should not take more than 3 minutes in any case. Local traffic stations are transition points between bicycles and the public transport. Together, they provide an efficient combination of modes of transport which enables a relaxed and fast way to work. The catchment area of the station is significantly increased through B+R. Therefore, not only cyclists benefit, also for public transport an increasing number of users can be expected. The combination of bicycle and public transport can only be realized if bicycle parking racks of high quality are provided. This aspect is related to theft and social control as well as to weather protection and comfort. Based on on-site observation and our many years of experience we develop suitable Bike + Ride solutions for local traffic stations of any kind.